Sticky Tape 33M Roll W/Disp 3Pk. 33m x 18mm Per Roll. 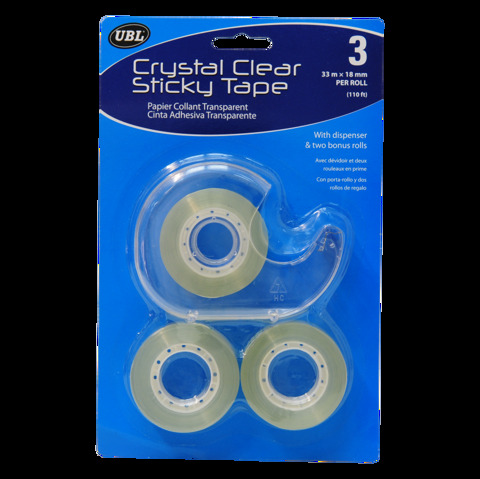 Clear Coloured Tape and Dispenser. 38 Micron. 38G Packaging: Backing Card.